DivoraRoma's May 24 to 31 2017 was a great success! The fabulous group of 7 travelers (+ myself) had a great time... and we certainly had many chances to taste a delicious variety of foods and wines from Rome and the surrounding area (including a day trip to the incredible Decugnano Dei Barbi in Umbria - more on them on my travel journal/blog soon! 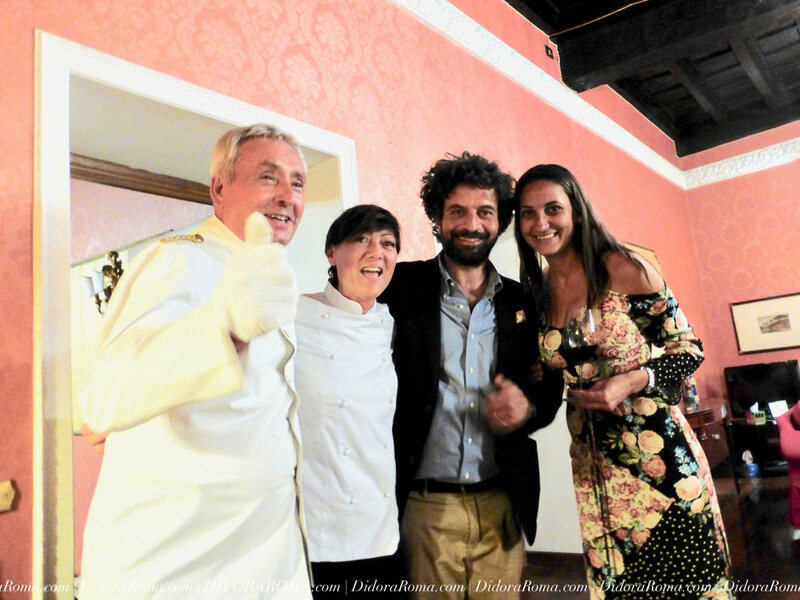 ), a cooking class, a professionally catered dinner at home, and a home-made dinner with my own family as home cooks, sightseeing around the archaeological (Domus Aurea) and art (Borghese Gallery) museums, and just plain FUN! My wonderful travelers came at different times on May 24th 2017. I was waiting for them as they trickled into Rome, with a delicious spread of local meats, olives and wine. 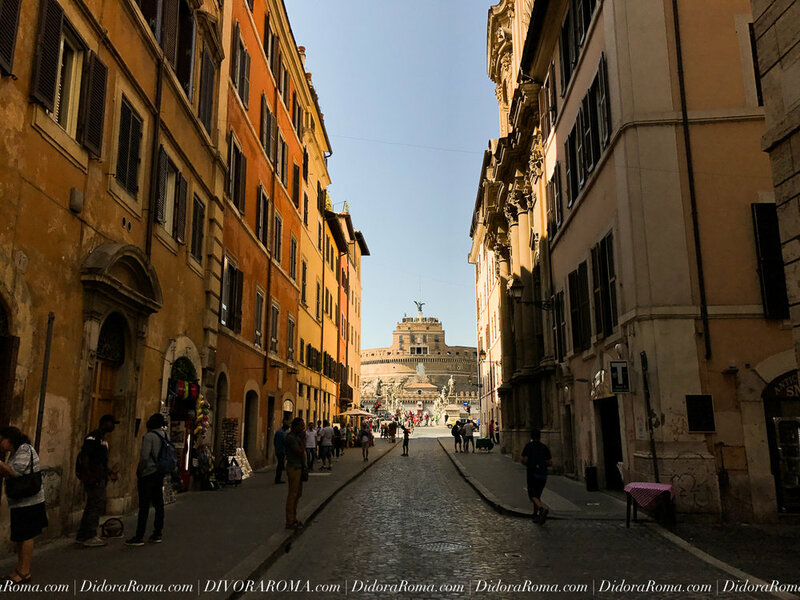 We settled into the beautiful apartment in central Rome (by the Spanish Steps) and eventually began our experience with a passeggiata (evening walk) and a pre-fix Roman dinner a few blocks away. Keeping this first day simple and easy was a goal of mine, so as to let all travelers adjust to being in Rome after a day of travel. The next day we strolled around Rome in the morning to then hop into my driver's (Alessandro) van on our way to Umbria. I love to plan for a beautiful day trip to the countryside, and Decugnano Dei Barbi was my go to place. A Vineyard on top of a hill in the region of Umbria, we could see Orvieto and its imposing Duomo from the main house! The vineyard and it's family has been creating wines since the year 1212... incredible! We toured the beautiful property and it's production facilities, then we entered a restored chapel to begin our cooking class. We learnt how to make pasta and bread and a 3 course meal, accompanied by their stunning wines, of course. After a wonderful afternoon and evening at Decugnano, we purchased cases of their wine and made our way back to Rome for the night. Throughout the days, we had a few strolls through the city of Rome, taking one Rione (neighborhood) at a time. Each offering such unique architecture and culture and history! 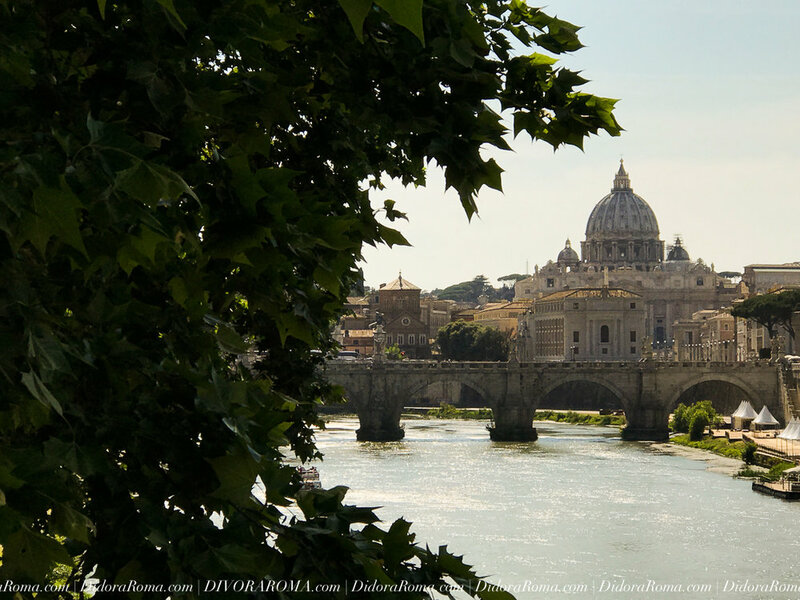 Trastevere, Campo De Fiori are but two of the areas we explored together. We participated in a quaint tour group excursion of the beautiful Galleria Borghese as well as the very special and rare opportunity to explore Nero's Domus Aurea! Reservations WELL in advance, are highly recommended for both. Another dinner I organized for my group of travelers, was a bonus dinner, and a surprise to all. Good friends offered me a top notch service with Michelin Star trained chef, professional server, sommelier and impeccable elegant service. The menu was a simple, yet elevated Roman food menu, with dishes such as seafood carbonara and fresh ricotta-honey semifreddo. A truly elegant and catered affair with Murano glassware and fine china, fresh local ingredients and Roman hills wine pairings. Absolutely loved it! Special thank you to my good friend Adonis Kekidakis whom flew from Greece to professionally photograph 3 of our 7 day adventure. Thank you so much, Adonis! !